Regardless of whether your staff is full-time, part-time or a combination of both, your attention to their needs makes a huge difference when it comes to productivity. Your employees need growth opportunities, the right tools, recognition and realistic goals to strive towards in order to shine. Providing these 4 key ingredients will help increase the productivity of your staff and your business. Your staff appreciates the opportunity to grow. This means you need to provide training, both upon hiring and periodically. Share the latest industry news with them periodically, as well as developments and research that might contribute to their effectiveness at their jobs. In addition to giving opportunities for employees to learn, you should also provide opportunities for them to grow within the company. Knowing that you can earn more, get promoted, take on additional responsibility, and more is a huge productivity motivator. 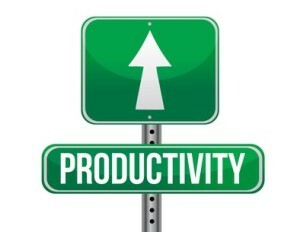 Providing the latest in technology for your staff to use is an asset and an incentive when it comes to productivity. Employing a cloud based phone system that allows users to instantly know where a caller is in the buying process makes a noticeable difference in closing rates. Such systems provide employees with the resources needed for call management and instant access to valuable information, regardless of where they work from. Even if your staff is all remote and far flung, creating a culture that rewards each one for a job well done is important. Make a point to share innovative ideas, goals that have been met and other successes with the entire team, so your staff members get to revel in that recognition and know their contributions matter. Your employees should always have reasonably attainable yet ambitious goals. This will make their work more interesting and more rewarding. Studies prove that striving for goals leads to happier individuals. A happier staff is certainly a more productive staff. Help them on their way by providing useful feedback. Some of the features of cloud-based phone systems make it easy to gather feedback for your employees. Take the time to ensure that the positions at your company include these 4 key ingredients for productivity. When they do, you are much more likely to attain your business goals and enjoy the kind of success you’ve always wanted. This entry was posted in Cloud Phone System, Productivity by Jim Li. Bookmark the permalink.